We had family in town for Sarah’s birthday, so decided to spend the day in Napa. It was a chilly day! We headed to Frog’s Leap winery in Rutherford, one of our favorite wineries, to taste their newly released Chardonnay and enjoy some time by the fire. We think that Frog’s Leap does a great job at Christmas. Their tasting room setting lends itself to a cozy Christmas atmosphere. The farmhouse is decorated for the holidays and they have a cracking fire, which was perfect for a chilly December day. Abbie, the winery dog, even enjoyed sitting by the warm fire. Frog’s Leap does a great job with gift packaging and we have have always admired their classy black boxes. We saw a bunch under the tree, and decided they would be perfect gift ideas for a hostess or client. A boxed vertical would be the perfect gift for the wine lover on your gift list! 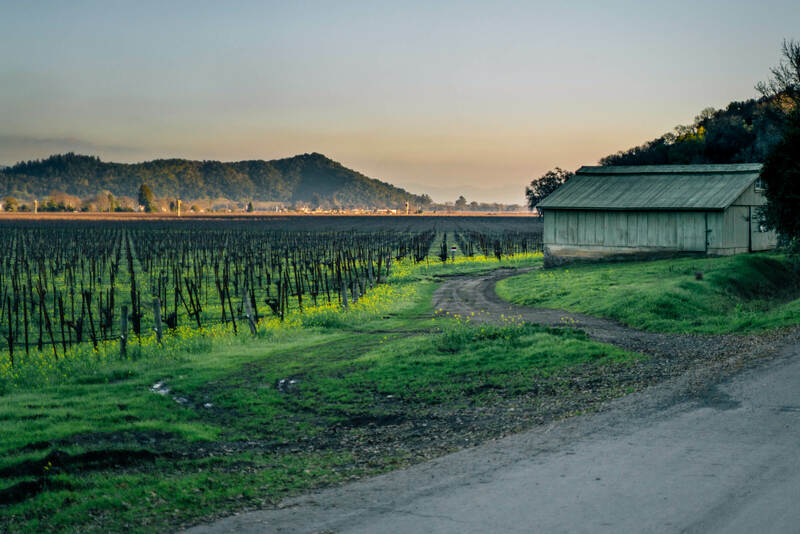 We were also impressed with the newly released Napa Valley Then and Now by Kelli White. It’s six inches thick. Clayton’s hoping for this to be under our tree! If you’re not a wine lover, check out the estate made jams and conserves. Who wouldn’t enjoy Christmas breakfast with artisanal peach or white apricot jam? We highly recommend a stop at Frog’s Leap this holiday season. If you’re not local, ask about shipping. Thanks to Frog’s Leap for hosting us!